Concealer ranks first on my list of desert island products. Without my daily cover up, I look more like a member of a raccoon family than a homo sapien. I have no complaint with my eyes, blue, slightly almond shaped, if on the small size, but those shadows - they have to go. So try as I may to use creams, vitamins, and masks to banish the dark circles (to no avail), concealer is my ultimate tool and friend. 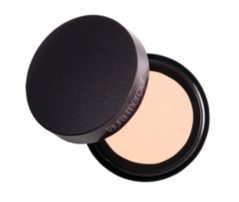 As formulations, shades and the weather change, I'm constantly looking for my next great shadow fix. My latest experiment was with Laura Mercier Secret Concealer ($22) and unfortunately it's not exactly a secret I want to share. A thick viscous cream, ultimately the formulation is too rich and thick to work well as a cover up. It doesn't stay in place, tends to cause my mascara to run and rubs off with the slightest touch of a finger. It probably would set better with an application of powder, but I find that accentuates any lines around the eye area. I have had better luck with other brands such as Paula Dorf and Shiseido. Laura Mercier offers another product called Secret Camouflfage ($28), which has won the Allure magazine Best of Beauty Editors' Choice for Best Concealer in 2009 and 2010. I wish I knew that before I purchased the other disappointing product. I am a self admitted sucker for problem/solution products, so when I came across Perfect Formula Pink Gel Coat at Sephora, it sounded like it could be "Perfect" for me. 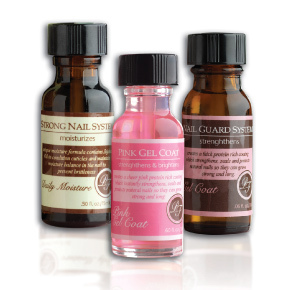 Developed by someone called Shari Gottesman, Pink Gel Coat promises to strengthen and harden brittle nails and add a touch of lustrous pinky tone that would surely make my nailbeds look whiter, so I was intrigued. At $30 it took some convincing but my nails tend to crack and peel from hours on a keyboard and shuffling papers so it was worth the spend to me. When you call your product "Perfect" you are really setting yourself up for some critiques if it doesn't perform as promised. I cannot recall the last time I spent $30 on a nail varnish - surely not in recent history. My favorite Dior shade is only $21, Chanel comes in at $23, and glorious Illamasqua which is fabulous is a mere $14 for a bottle of lasting color. The packaging leaves much to be desired - in fact, the clear test tube shaped bottle and little black twist top looks like an exact replica of the cult classic Sally Hansen Hard as Nails (which costs a whopping $4 at any drugstore...). I am one of those beauty buyers who will spend dearly IF and only IF a product delivers on a promise or targets one of my unmet needs. Sadly, although Pink Gel Coat is a reasonably good nail hardener although not outstanding, and the glowy pink shade is pretty enough at first, by Day 3 it didn't rock my world. The "Gel" phrase in the name is a misnomer, as it conjures up the idea that somehow this miracle coating can duplicate professional gel nail application results. I cannot quite justify the $30 price tag to myself or anyone else for that matter. For $10, I might buy this again, but for $30, I would rather go and have 2 manicures at a Manhattan salon of my choice. Perfect Formula also has a clear Gel Coat ($29) and a Daily Moisture conditioner ($29) in case you are interested in splurging. STILA JEWEL – Stila has added sparkles to their amazing line of click-and-paint lip glazes for Spring. These jewel infused glosses (yes, they contain an exclusive complex of diamond, ruby, emerald, topaz, moonstone and more) are easy to apply and last longer than most. The Jewel Lip Glaze Trio includes three shades: Pink Diamond, Amethyst and Golden Topaz. I must mention that although I’m a devout Stila follower (their blush in “Hint” is to die for), these Jewel Lips Glazes are more fit for a teenager and definitely nothing to wear to the office. Don’t get me wrong, they’re beautiful, but in my late 20’s I’m definitely not the target audience. $32.00 for the set of three. 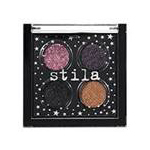 I must also mention that Stila has introduced a Jewel Eye Shadow Palette (Rose Quartz, Amethyst, Black Diamond and Golden Topaz) to match! FINAL VERDICT – ICW (It Can Wait) – Unless you’re in your teens, in which case you’ve hit gold. 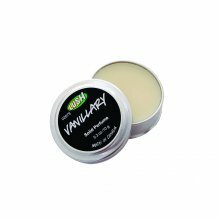 I love the idea of this product – a solid perfume in a little silver tin is perfect for bringing to school to keep in my locker, and for carrying it to the gym to use after a heavy workout, and its a bargain price. However, I was a little disappointed because it doesn’t really smell like vanilla. On the bright side, it does work— it leaves a lingering scent, and the waxy texture of the fragrance doesn’t rub off on your skin so it lasts well . But it doesn’t leave me smelling like the Crumbs Cupcake Shop’s vanilla cupcakes! Maybe I set my standards too high but I LOVE vanilla scented everything and I had high hopes for LUSH since I like their Bath Bombs and Shower Jellies. FINAL VERDICT ICW (IT CAN WAIT) – Overall, its a great idea, but I was disappointed with the lack luster aroma of this product. Perhaps the other scents, like Honey I Shrunk The Kids or Olive Branch smell better. I still think solid scents are terrific and I will definitely look out for more of these. It’s a good value for $7.95.